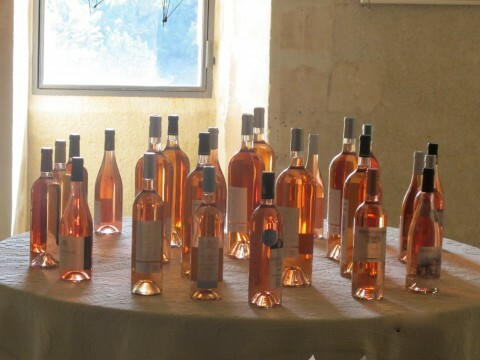 In addition to offering tastings of a wide variety of Luberon vintages, the wine shop sells bottles at the same price as you would pay at the winery. 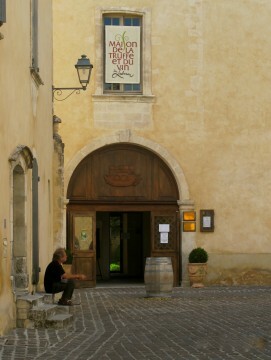 The ‘Maison” also has a shop on the main floor that sells olive oil and delicacies of the region. Exhibits of local artists run throughout the summer. The Wine Bar and Shop is open daily from 12:30 p.m. to 6:00 p.m. and Friday evening. This entry was posted in Wine and tagged Menerbes, Wine. Bookmark the permalink.